Sprint to offer BlackBerry 8830 unlocked | BlackBerry Blast! Sprint will start selling the BlackBerry 8830 in July 2007. 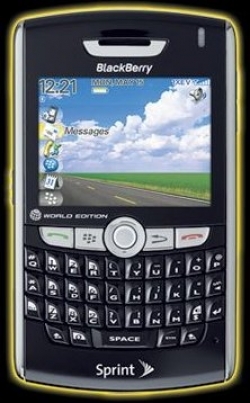 The Blackberry 8830 will run on Sprint's network but will also be a world phone able to accept GSM SIM cards. The best part is the SIM will be unlocked. This means you can use the phone nearly anywhere worldwide. Way to go Sprint!